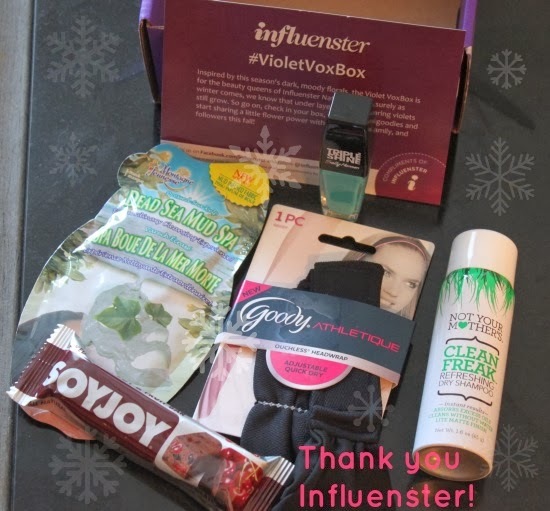 December's Influenster wasn't too shabby! For a free subscription box I was very happy with the products. 2 of which I actually really needed lately! The only thing this company asks in return is your opinion on said products, do a short survey after you receive the box and participate in unlocking badges by answering questions about the products and other products. Opening up badges earns me more free boxes and it's definitely worth the little time it takes to do! I wish I had more invites to give out, but they have all been taken! If you're dying to join, you can easily find someone on Influenster's Facebook page who would love to add you! Montagne Jeunesse Dead Sea Mud Spa Mask - I haven't used this one yet, but I have gotten masks like this before and they have irritated my sensitive face so i'm not sure I want to try this out. I may though, as I haven't tried a mud one before. Sally Hansen Triple Shine - This nail polish is really nice, it goes on smooth and easy and lasts for days. I have tried it before, just not in this color. Which is like a sea green and not my first choice, but i will still wear it. I'll probably dress it up with a sparkle coat. 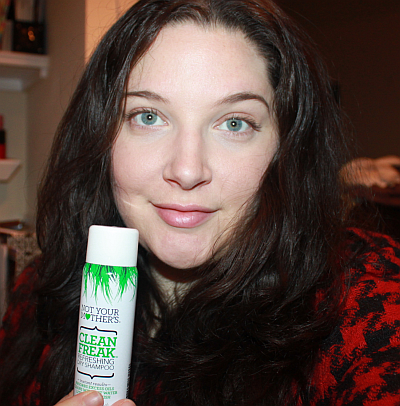 Not Your Mother's Clean Freak Dry Shampoo ( Sample size)- My hair gets really greasy between shampoos and it only takes about 2 days! This started happening more as I got older. I can't stand it! Luckily, there's this gem. It actually works. You have to spray a generous amount on the roots and all throughout the hair, but it soaked up a lot of the grease. Not perfect, mind you, but enough that I saw a change I could go out in public with. 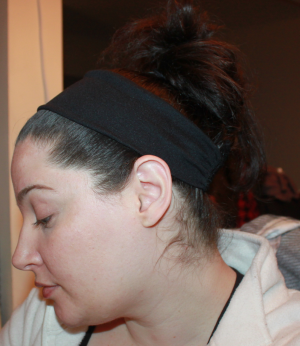 Goody Athletic Head band.- I have been really in need of one of these, but I couldn't justify the price. Now after trying it out, I think it is worth it. Especially because it stays in place, it's wide, has moisture wicking and it can be adjusted to your comfort with the velcro. This is such a great edition for those with bigger or smaller heads. It's plain black so it will go with anything I wear and it's perfect for my sweaty yoga workouts, washing my face and doing makeup. These products have been great and I can't wait for my next box. If you are with Influenster too, good luck! Don't forget to open those badges!